See our availability dates & book our Holiday Rental Home from our online booking services with real time availability & pricing. Choose a holiday home over a motel room. Why stay in a hotel or motel when you can have the privacy, space & comforts of a home? Small hotel and motel rooms are a thing of the past! Get the most value for your money and book "One&Only" holiday home a fully self-contained house with everything you could possibly need is provided for during your stay and best of all what you see is what you get! If you are seeking a quite, clean comfortable accommodation at Port Augusta for a few days, a week or more we have just the place. 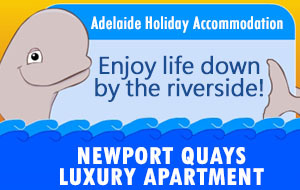 We invite you to travel to Port Augusta and enjoy a relaxing holiday in our holiday home. 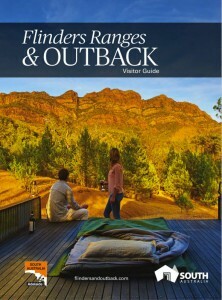 You can explore the surrounding region and the Flinders Rangers. Enjoy the nature, scenery and beauty in the area while you stay in our fully self contained holiday home for you to have an enjoyable and a memorable Port Augusta holiday. Four bedroom fully self contained house. In walking distance to the beach and supermarkets. When renting a self catering holiday home it allows you not to have the hassles associated with hotel and motel accommodation but you can have the privacy, space & comforts of home offering the best value for money. Get the whole house – why share it! Not only can it be cheaper than a hotel or motel - it is much more exciting! You get to live in a fully furnished home with all the amenities and a full size kitchen, where you can make your on meals. Holiday homes are suitable to be used for birthdays, family reunions or any social or corporate get-together. Ideal for the needs of contractors, shift workers, tradesmen or professionals, very popular for families and groups seeking accommodation when attending major events. Widescreen TV, large selection of CD`s, Cassette and Books. This means that you will never run out of entertainment. Whether it is following your favorite footy team, a movie, listen to a music, reading a book, it is all at your fingertips. Port Augusta has mild weather and outdoor living is paramount, relaxing areas is essential with a decent BBQ. Fully self-contained including everything you would need - all bed linen, pillows, continental quilts, summer & winter blankets, bathroom & tea towels, all you need to bring with you is clothing personal effects and a smile. The utensils, crockery and cutlery will be ready to use with an initial supply of complementary toiletries as well as tea and coffee. WHY can we do it so CHEAP ? - EASY, we are a private business, we mange, maintain and own the property, which means we don't have the HUGE overheads. Hence, we are able to offer you the accommodation you DREAM of, at CRAZILY, RIDICULOUS PRICES. LIVE AVAILABILITY - Book Now Online and guarantee yourself the best holiday home at Port Augusta at the best price you can get. Going ABOVE and BEYOND your expectations. Our goal is :- "A firm focus on 100% customer satisfaction with a drive for success in achieving outstanding results ensuring our guests are clients for life." We become friends with most of our guests and because of the nature of our approach a huge percentage of our new business comes from recommendations and word of mouth referrals. We welcome the opportunity to discuss with you your requirements. I would like send through our appreciation of being able to stay in one of your homes for the time we spent working at Port Augusta. The home was lovely and suited our needs quite nicely, right down to the chooks and getting eggs daily. We had all the comforts of a home away from home and everything was available with no need to want for anything else. On the whole we were extremely comfortable and enjoyed the stay. Thank you to both you and Lois, it certainly was a pleasure to meet you both and I am quite certain should we have work at Port Augusta in the future I will be calling to make accommodation arrangements through you's. I also need to say, your attention to detail and assistance with anything was also appreciated.Thank you & have a nice day. Maria Darby. Contract Cleaning Manager. SOUTHERN CROSS CLEANING. Very clean and comfortable beds with quality linen. Four split air-conditioners, ceiling fans for comfort. Centrally located, secure, quite & private. Lounge with wide screen TV, CD player, large section of books. Secure under-roof off street parking four cars. Gas BBQ and entertainment area. No Booking Fees - No Credit Card Fees - No Linen Hire Fees - No Cleaning Fees. you pay the same price all year round.